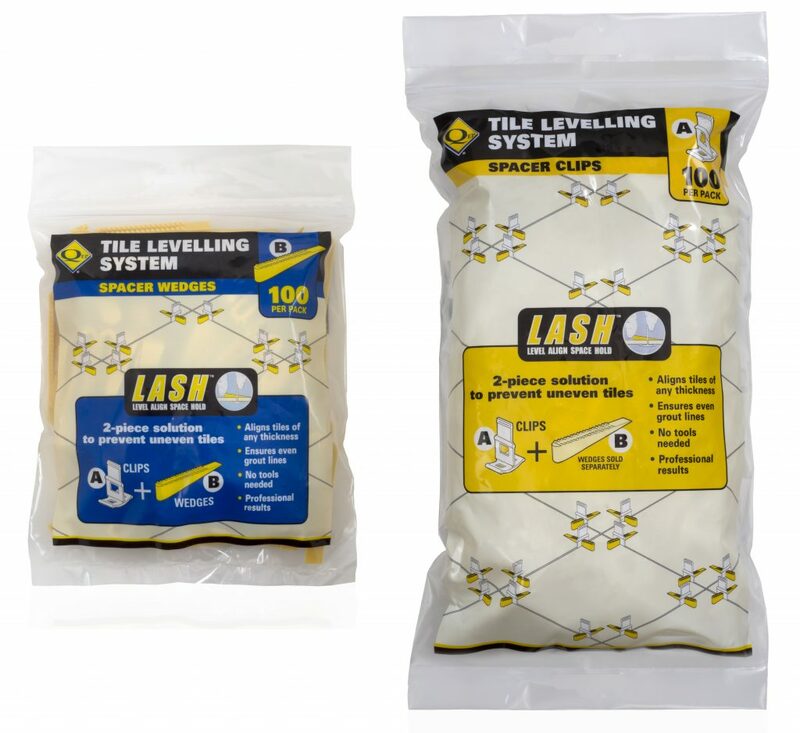 The patented LASH system is designed for quick installation and reduces costly call back by ensuring the finished floor surface is lippage-free. 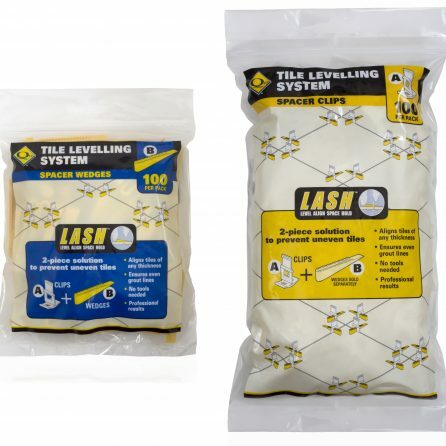 This time-saving system helps adjust the height of the tiles and evenly holds their edges throughout the curing process of the setting material. Specially designed break-off point clips for swift removal.